The gallatin county sheriffs office wants to inform everyone that Antonio Torres was located this evening by deputies. Through the public’s assistance and time spent dedicated to locating him, the patrol division was able to arrest him without incident. Deputies located the vehicle belonging to Cherie Runkel in the Pine Creek area south of Livingston today. 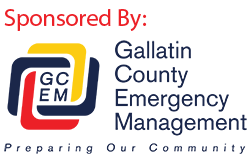 Currently Park and Gallatin County searchers are in the area trying to locate the 41 year old Gallatin County woman.